Select Quantity 3 pcs. 6 pcs. 12 pcs. 24 pcs. 36 pcs. The AdirOffic Clear T-Shaped Base Sign Holder is a reliable accessory for any signage needs. It is perfect for photo display, announcements, marketing, advertising, menus and the like. It can hold 8.5 x 11-inch documents and is made of quality transparent acrylic that provides double-sided views. Also, it can easily switch out signs with a seamless base slot. 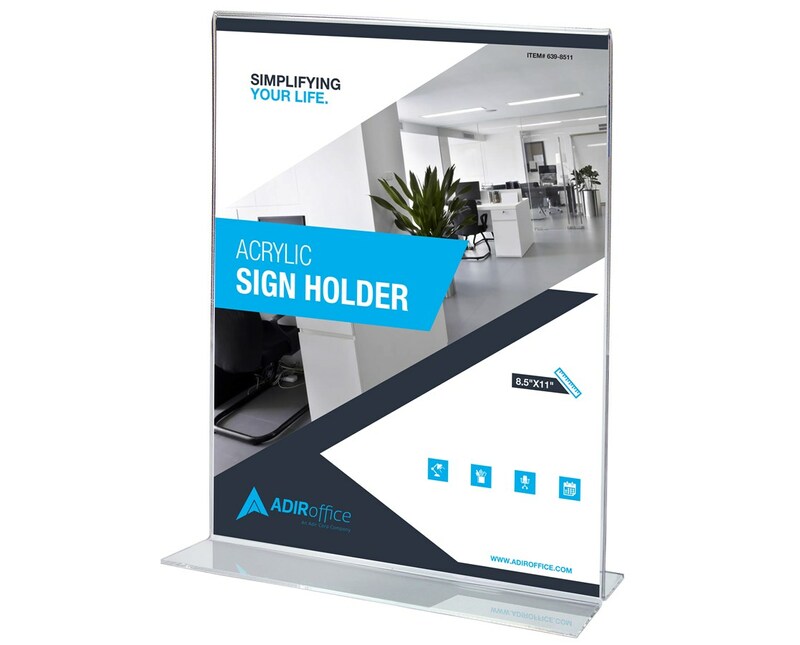 As an additional feature, this sign holder is ergonomically designed to stand on its own. 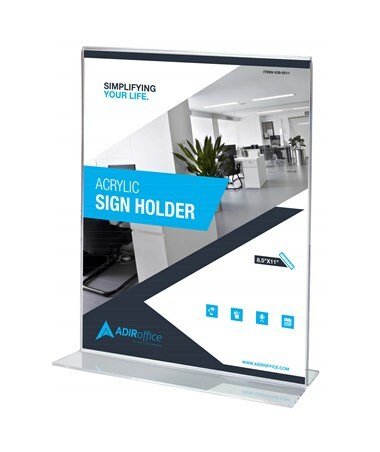 The AdirOffice Clear T-Shaped Base Sign Holder comes with five quantity packs. Please select your preference on the drop-down menu above.